Who’s Helping Your Plan’s Participants? 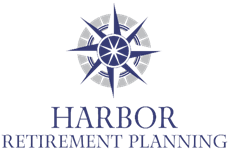 Plan participants receive our objective insights on investment allocations, assistance with enrollment into new plans and help facilitating rollovers from previous employers’ 401(k) plans. Currently a Participant in a Plan We Work With? If you are a participant in a retirement plan we currently working with, PLEASE CONTACT US to assist you in answering questions on your plan. A retirement plan is only as successful as it’s participants. Let’s make sure your plan’s participants are comfortable with the plan and who they can talk to for help. • Investments are confusing - Please HELP ME! • ROTH 401(k) or Traditional 401(k)? • How does my company’s match work? • How much should I save? Deferral percentage? • How do loans work? • I am Retired - Now What?